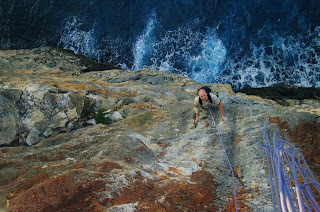 Did you know you can climb the bluff on Cayman Brac? The Brac is home to 7 distinct climbing areas. 2 of these areas are right over the ocean and require experienced rappel access. The remaining 5 areas are known as normal sport areas where you can access the base, climb and lower off. The rock is white limestone with many features that will excite those daring enough to try. For more information, see http://www.climbcaymanbrac.com/ for details.